An historical analysis of these markets shows that the foodservice offer to consumers is becoming increasingly complex, due to societal changes that influence the consumer behaviour: factors such as a desire to make the most of free time, decision-making between consumption options, changes to working practices and increased commuting time have had a major impact on food consumption habits out of home. The consumers have become more demanding in their choice of foodservice outlets, and in the services that they choose (food or beverages). The most obvious consequence of these changes has been the strong growth of "snacking” as well as of interconnected foodservice concepts (table service, take-out corners, home delivery…). 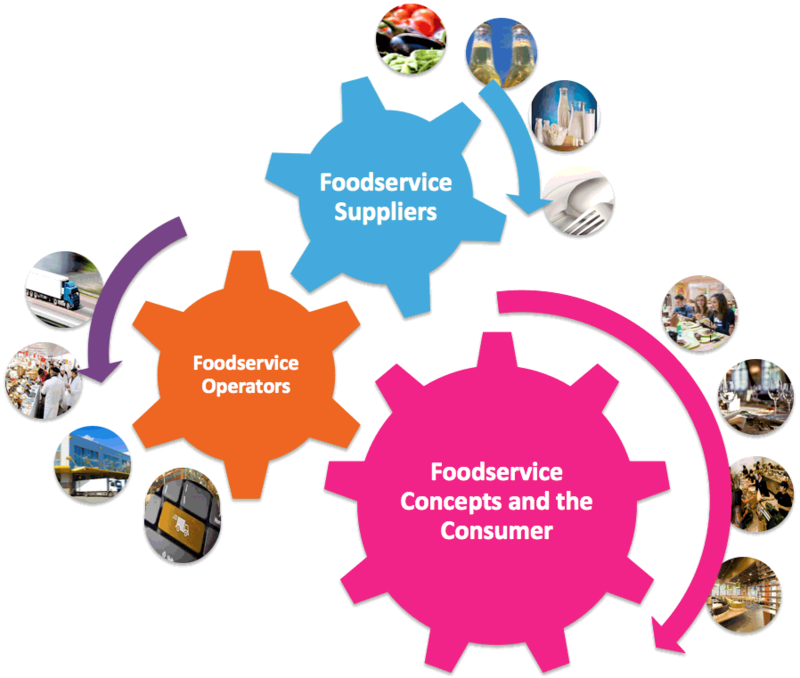 So the foodservice market represents a more and more strategic growth lever for all kind of economic operators such as the industrial food companies or the distributors, by offering great opportunities of development that require a more and more targeted commercial approach.